? 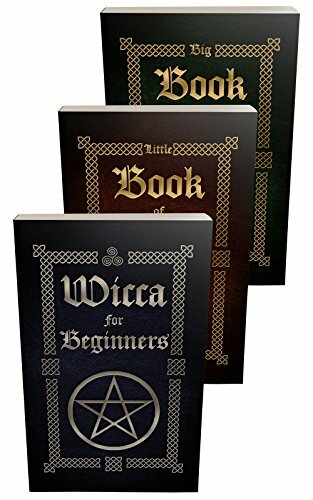 Wicca for Beginners ? Do you prefer nature over the modern world? 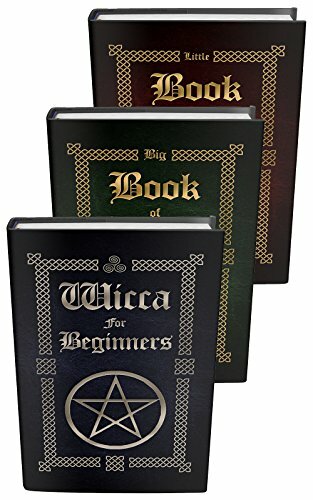 Are you interested in learning and practicing Wicca? Then this book can help you to get started. Wicca is a complicated religion, and the first step to starting as a Wiccan is to find out if Wicca is for you. There are indications that you may be right for Wicca, and some of them include an attraction to nature, stones, and meditation. From learning about Wiccan holidays to learning about the moon cycles, here you’ll have all the information you need to get started with celebrating and practicing Wicca. There’s no need to leave love, money, or success up in the air when you can find guidance in love spells, moonlight meditation and rituals that will help you to gain the energy you need to direct your magical essence. You’ll learn all about the elements and how to represent them, perform beginner spells, and make sure that you honor the God and the Goddess.
? A Book of 30 Spells ? Do you need a boost of self-esteem? Do you want more luck or financial success? Are you looking to add more magic into your life? This book will not only give you the spells that you need, but you’ll find that it also gives you the reasons behind the ingredients and the best time to perform them. Most of the spells in this book will not require a lot of ingredients, but with witchcraft it is important to realize that the fewer ingredients you use, the more energy it will need. If you have a spell with more ingredients, it is a more basic spell, and you’ll find basic spells in this book as well. This book will help you to start casting spells with the right ingredients at the right time. There’s no guess work. It’s all about your power, your desires, and your needs.
? A Little Book of 13 Spells ?